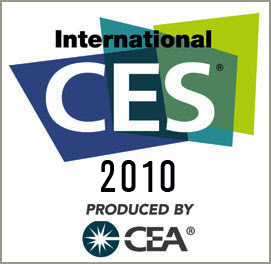 The Consumer Electronics Show 2010 (or better known as CES) is happening from January 7-10th in Las Vegas, NV. CES is the largest trade show held for consumer electronics and features products and the companies that create them. This year, Kodak wants you to be a part of CES from your home computer. 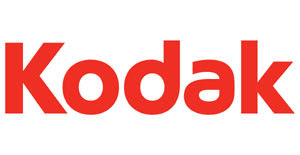 They would like to invite you to participate and see all the action at the show by watching live streaming panels direct from the Kodak K-Zone on the CES Floor. You can also join the discussion by submitting questions to the panelists via Twitter and using the hashtag #kzone. Please see below for panel descriptions, information on how to log on and timing. A look at today’s CMO’s and how they create, share and relive moments in their lives. And we’re not talking about the rock band. Hear from leading women in technology about why simpler is better in today’s fast-paced world. How momtreprenuers and stay at home moms are building successful businesses. Kids eight and under will never know what life was like before Google. Learn how technology is changing their lives – and their parent’s lives in the process. It’s time to hear from the dads! Hear from these tech savvy dads on how they use technology with their kids, and the lessons learned. To view the live streaming and recorded videos, or more information, visit www.kodak.com/go/ces. Show off your pictures and your style on a KODAK EASYSHARE D830 Digital Frame. 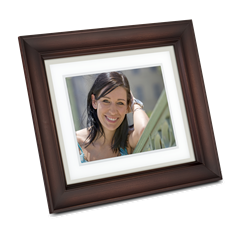 With its unique design, you can create a look that’s exclusively you by pairing your digital frame with thousands of standard picture frames on the market, even a favorite you may already have. So enjoy beautiful pictures, stirring memories—all with your personal touch. 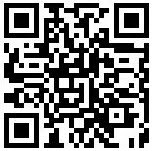 View your pictures on the 8 in. digital photo display featuring KODAK Color Science Technology for vibrant color and crisp detail. Kodak’s Quick Touch Border with automatic motion sensor—the unique touch border keeps fingerprints off of your viewing screen so your images stay beautiful. Store up to 4000pictures directly on your frame’s 512 MB of internal memory. Pictures are automatically resized to fit on the frame. Use the USB port and 2 card slots to add pictures from other sources. See more memories at once using the dynamic collage mode that shows off several pictures at the same time—plus other options like clock and calendar views. ENERGY STAR® qualified for efficient power consumption and has Mercury-free panel. Programmable timer automatically shuts down power at preferred times. Leave a comment and let us know which of the K-Zone panels at CES 2010 sounds the most interesting to you and that you’d be most likely to watch streaming live at home. I would like to watch the The New CMO: Chief Memory Officer. I'm always interested in new ideas for preserving those memories. I would be interested in Help, My Mom Friended Me on Facebook. The M-Suite Panel sounds most interesting to me to help me get a solid business sense. It's All About Kiss. I love to keep it simple. I think CMO: Chief Memory Officer would be interesting! I'm going to try to watch It’s All About KISS. I know quite a bit about "Keep It Simple Stupid" from years of work, but I'd love to know more about how to apply it to taking photos. It's All About Kiss would be my choice! Technology is always changing but interesting. I would B interested in the K-Zone Panel, The M-Suite. How momtreprenuers and stay at home moms are building successful businesses. The "Hi, My Brand Name Is" sounds interesting! The Help, My Mom Friended Me on Facebook panel sounds really interesting. If I remember, I would like to watch this panel. cdziuba@aol.com My daughter agrees..It's All About Kiss is the one we like. It's All About Kiss sounds interesting to me. It’s All About KISS sounds the most interesting to me. I would be very interested in the m-suite. Thanks for the chance. It's all about Kiss would be the program that would interest me. In todays fast paced world, I'm looking to simplify and cut some of my stress! I don't have a twitter account so I won't be joining but the one entitled Help, My Mom Friended Me on Facebook looks really interesting. My mother and I discuss how FB has changed our lives all the time. I like the The New CMO: Chief Memory Officer.It is something i need help with. All About Kiss sounds the most interesting to me. the father knows best, i will probably be streaming the show at home! I would like to view The M-Suite. Extensive research has revealed very few viable choices in this regard, and many, many, scams. Father knows best looks good, i can always use some tech help. Help, My Mom Friended Me on Facebook looks great because I've been a member of facebook since 2003-2004, one of the original members. I've seen every single facebook change there has been and never ever would I have thought my Mom would a) be on there, b) find me and c) know how to even use it to begin with! I follow you on Twitter as @JennSweepsAlot. Thanks again! I would be most interested in watching The M-Suite. I am all about KISS myself. so this would be the CES Kzone talks I would be most interested in. I barely know how to turn on the OLD and almost extinct VCR, find the ON button on the computer, or know how to run a digital camera...let alone all the new Complicated toys my computer software engineer/GADGET lovin', tech crazy hubby whines for. Blue Ray...isn't that just the wonderful streaming light that comes into our windows on a cloudless day?!!! GGGeeeesh! I dont even know how to tweet yet!!! I am a confirmed email subscriber. thank you! I am a Facebook Fan. thank you! I follow you publicly. thanks a bunch! I like the Help, My Mom Friended Me on Facebook since I have an 8 and an 11 year old. It’s All About KISS sounds the most interesting to me -- I’d be most likely to watch it streaming live at home :) *Thanks* for the giveaway! The M-Suite sounds most interesting to me. CMO - the Chief Memory officer - love this title b/c that's exactly what I am!!!! Would love to see what they have to say. while they all sound informative, i think i would get the most out of "it's all about kiss"! follow on twitter and retweeted. The panel that interests me the most is The New CMO: Chief Memory Officer. I think the NEW Pulse would be nice. Facebook Fan @gahome2mom & shared it. The M-Suite, always interested in mom home based businesses and how they do it. Thanks. It's All About KISS would be the one I would be most likely to watch. My mom friended me on facebook - The only way I would let both my kids get facebook accounts is if they made me there 1st friend. I'm sure they were thrilled! It's all about KISS sounds good to me. It's All About Kiss is for me. Our lives are complicated enough as it is! Thanks! The M-Suite, because I'd like to find a way to have a home-based business. The M-Suite sounds the most interesting to me and the one I would most likely watch. Thanks for the chance! I am interested in The M-Suite. I saw the streaming today and it was very interesting. I would most likely listen to the M-Suite ~ as I would love to learn how to get a business up and going successfully. K18 "Is This Thing On?" Nice! I think I would like to watch The M-Suite for sure. I think bloggers are the best. The "The New CMO: Chief Memory Officer" panel sounds like a great topic. I'd definitely be interested in checking out the streaming video. I follow you on Twitter @DVLTweet and tweeted about this at http://twitter.com/DVLTweet/statuses/7524411725. The M-Suite Panel sounds great! You're already listed on my blogger sidebar. I'm most interested in the M-Suite!